Traditionally, it is said that Rome is the city of the hills. In fact, Europe is full of cities which nestle and perch beautifully in their topographies. Barcelona, with its seven hills -Turó de la Creueta del Coll, Turó del Carmel, Turó de la Rovira, Turó de la Peira, Turó del Putget, Turó de Monterols and Turó de Modolell – is one of them. We can add Tibidabo and Montjuïc to the list too. 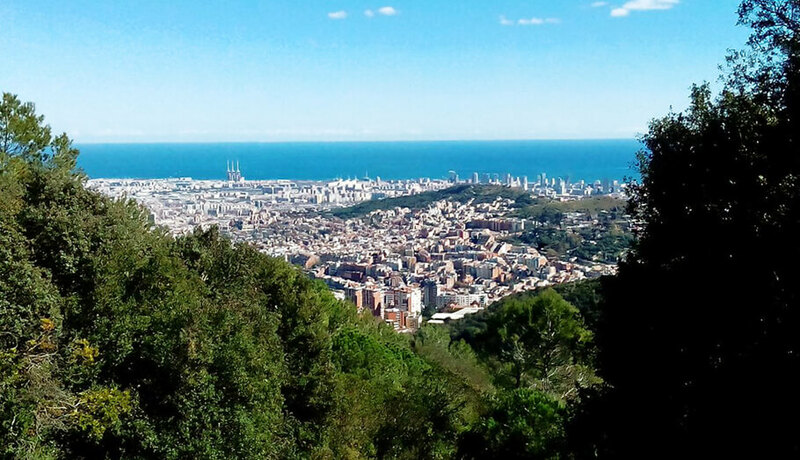 Mountain and sea are two elements which help create Barcelona’s special personality and atmosphere, and provide lots of places where we can enjoy fabulous views. 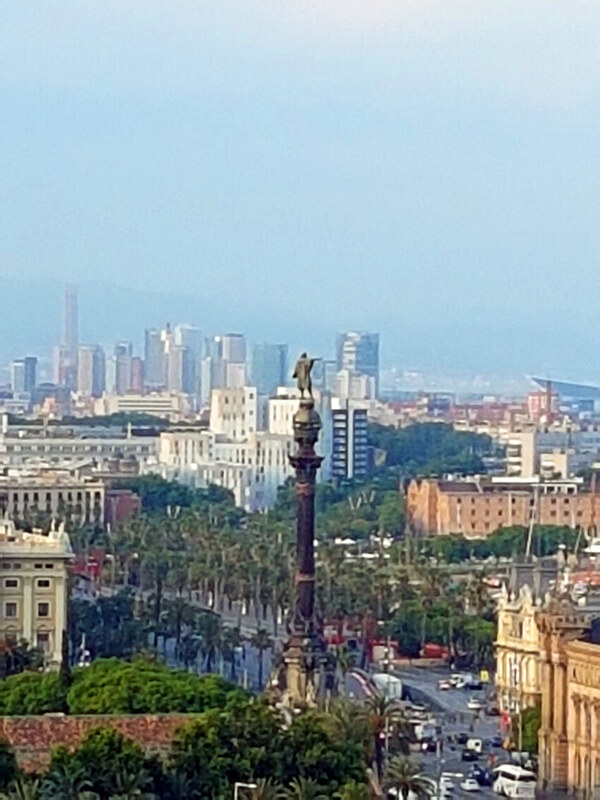 Today I would like to show you some some places where you can see the best views in Barcelona from another point of view. 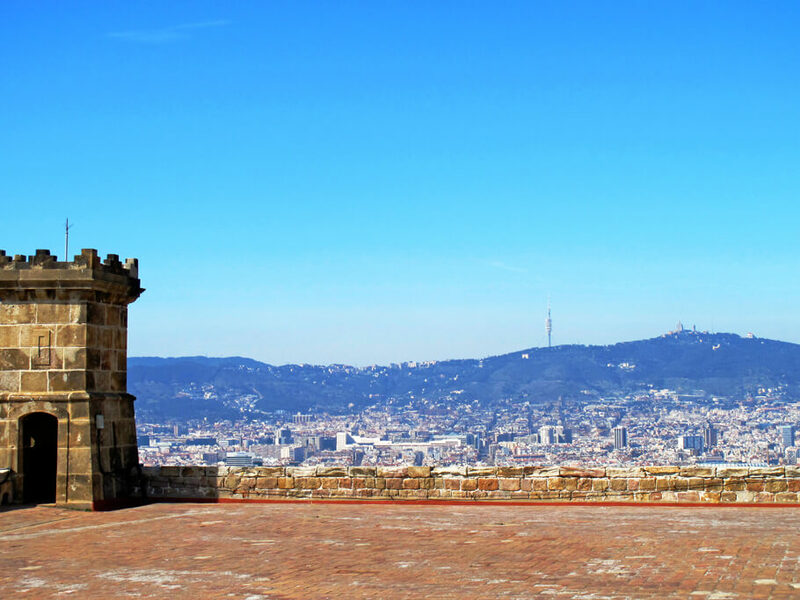 First of all, I recommend going up Montjuïc, the hill where Barcelona (Barcino) was born, when the Romans disembarked and created a small settlement in a natural harbor below Montjuïc before moving to the city’s present location. It’s name could come from Mons lovis (Hill of Jupiter), though another hypothesis says that this hill could have been a Jewish cemetery in the middle ages – Mons Jueus, the Hill of the jews. Because of its strategic position, it became a fortress in order to defend the city especially in the XVIIIth century, and also to repress its population. El Mirador del Migdia, located close to the castle with a view over the harbor and the other side of the mountain, including L’Hospitalet de Llobregat and the surrounding area. From this viewpoint, we can take Camí del Mar (the sea path), which reveals a delightful surprise, the small and pretty lighthouse of Barcelona. A bit further on, we arrive at another viewpoint, el Mirador de l’Alcalde, with wonderful views over Barcelona at any hour of the day! The third and last option is closer to the city and lets us appreciate it in detail. El Mirador de Miramar, located in front of one of the gorgeous Miramar Hotel (www.hotelmiramarbarcelona.com). How to get there: you can walk up Montjuïc along a calm, pretty path from Plaça d’Espanya or Drassanes or, on the other hand, take the number 150 bus from Plaça d’Espanya. Another way of enjoying the city from it’s heights is to walk along Carretera de les Aigües, a favourite of the inhabitants, especially at the weekends. It is one of the best places in Barcelona for running or cycling too. It is located in Collserola, the city’s natural park, and it has an itinerary of 13km approx from Plaça del Dr. Andreu to Sant Pere Màrtir, the tallest hill in Collserola after Tibidabo. Carretera de les Aigües means Road of Water, a souvenir of it’s old function as an aquaduct. The views are stunning, as are the natural surroundings, far from the stress of the city. If you want to continue walking, you can go up Tibidabo or take some of Collserola’s natural routes from Carretera de les Aigües. How to get there: take Funicular de Vallvidrera from Placa Catalunya or walk from Espai Mireia (where cyclists often have breakfast), Can Caralleu or Universitat Abat Oliba. You could also go to Turó de la Rovira, a rather a crowded tourist attraction, due to the incredible views over the two sides of Barcelona. 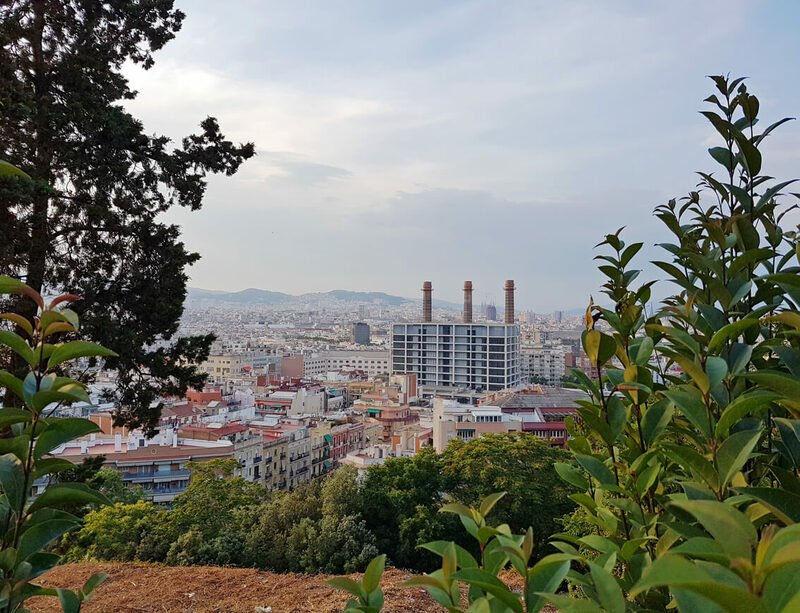 It is small hill, located in Guinardó neighborhood, is known for its anti-aircraft bunkers, which were built in 1937 in order to protect the city from the Italian attacks during the Spanish Civil War. In the 1960’s and 70’s the bunkers became homes for immigrants from Andalusia and Extremadura. We can still see the traces of their conversion. 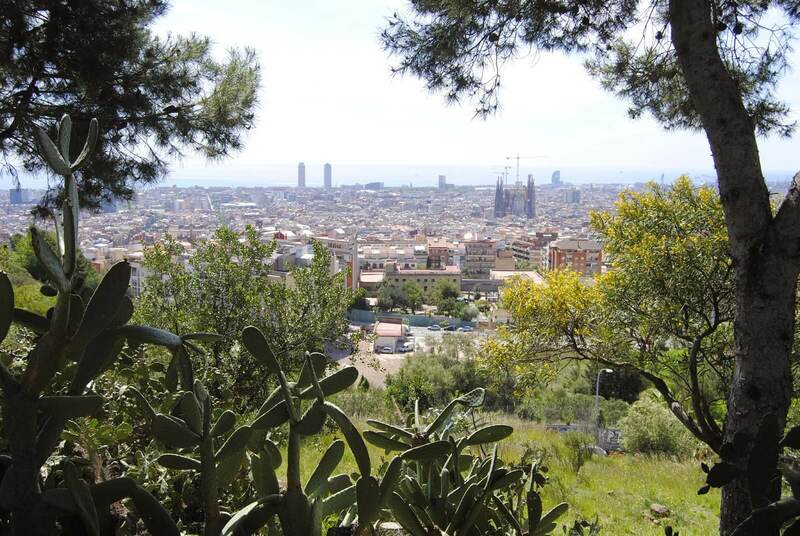 The bunkers are now curated by Museu d’Història de Barcelona (MUHBA), which organizes guided visits and activities.Turó de la Rovira is a lovely place for having a picnic or enjoying the sunset over the city! How to get there: take Metro (L4) to Alfons X then walk for 20min approximately. Columbus Monument is an important landmark of our city (although he doesn’t show the America’s direction, in fact) and, with its 60m of height, it is also one of the most distinguished. He represents the city’s opening to the sea and Europe. 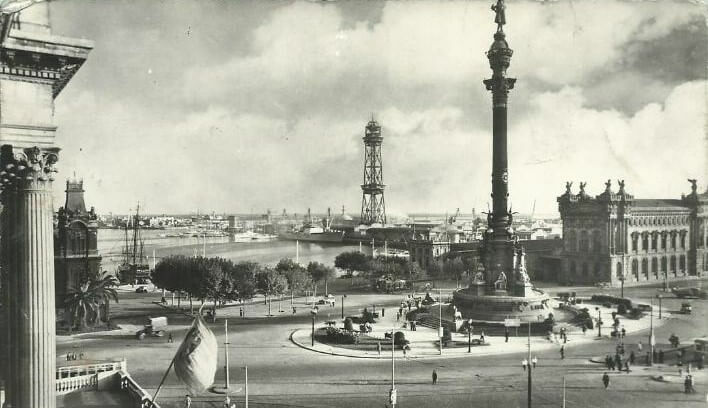 It is one of the symbols of the Universal Exhibition of 1888, which placed Barcelona on the world map. Thanks to this exhibition the city opened in a metaphorical and physical way because the sea walls were demolished and a great promenade was created. Columbus, as a symbol of the Iberoamerican countries and an important historical explorer, was one of the icons of this exhibition. However, there is a change in the perception of the monument, as people become aware of the consequences of the Spanish landing on indigenous people. In fact, some engravings on the monument are criticised, there are even political parties which want to demolish it. 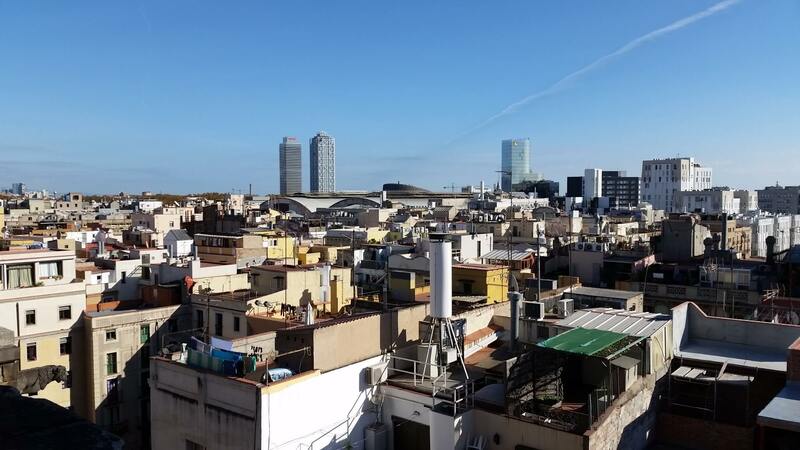 Here is a last way of enjoying a rooftop vantage point of the city: Santa Maria del Mar (10eurs) is one of Barcelona’s most important churches, and it has one of the best views from it’s roof. From there you can observe rooftops of Barri Gòtic, its people and its daily activities. Enjoy Barcelona from below, and above! Comida típica de Barcelona: La mejor Coca de "llardons"
Spanish traditions: Coca de "llardons"
We're featured in Rick Steves' Spain Guide!